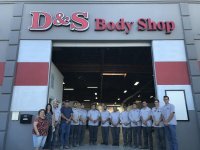 About Us | D&S Body Shop, Inc.
D&S Body Shop, Inc . started in 1989 with two employees and owner Ken Souza and has seen their	business grow through the years, due to his uncompromising standards and	commitment to excellence. Recently, we were fortunate enough to move into a brand new state-of- the	art facility on San Ramon Valley Blvd. Please come visit us! Whether you’re looking for repairs from a collision or just a small	bumper repair, we have what you need. 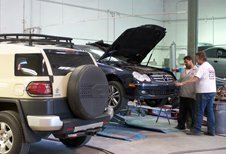 We go the extra mile to provide	our customers with high quality auto body repair at a competitive fair price.